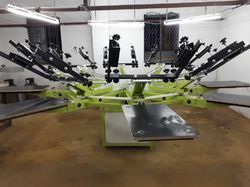 Pioneers in the industry, we offer garment printing machine, carosul garment printing machine, four station garment printing machine, manual carousel garment printing machine and 8 station carousel garment printing machine from India. We are one of the leading manufacturers of Garment Printing Machine. 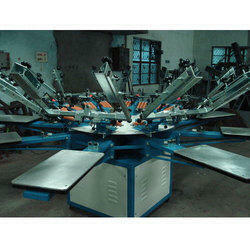 We are one of the leading manufacturers of Carosul Garment Printing Machine. 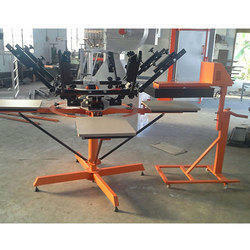 We are one of the leading manufacturers of Four Station Garment Printing Machine. 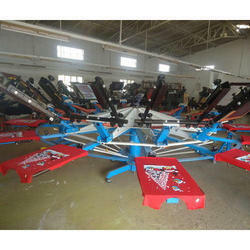 We are Manufacturing Manual Carousel Garment Printing Machine as per the requirement. Max Screen Size in Inches 22"